As a Landscape Photographer, I regularly use filters in my work and believe these tools are an essential accessory. But let’s be clear, when I talk about camera filters, I’m referring to the filters you attach to the front of your lens. These filters are not special effects software that many cameras now include. In this article, I want to explain why I hold this opinion and share filters I think are hard, if not impossible to replace. Screw in filters – attaching directly to the thread on the end of the camera lens. You can see an example of this below. Slot in filters – usually square or rectangular which slot into a filter holder. The filter holder is attached to the camera lens with an adapter. The two filter designs have different advantages and drawbacks. The screw in round filters for example attach cleanly to the end of the lens with a light tight seal. This means there’s no chance of light leaking around the edges. 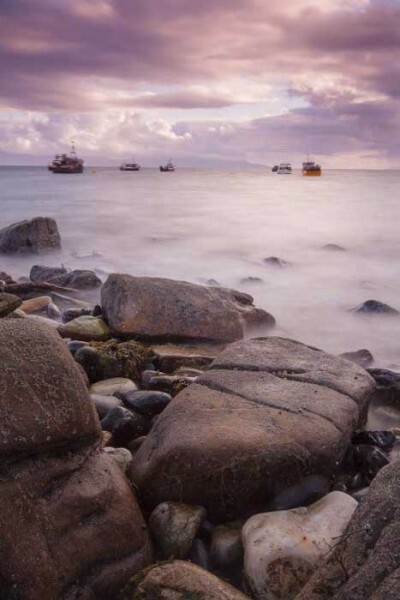 This makes them ideal for creating long exposures where any light leaks can ruin the image. Compare this to a Neutral Density Graduated filter where the position of the filter is more important. Here the square slot in filter design is best. This allows you to easily reposition the filter in the holder to correctly line it up. If you were using a screw in lens filter, you would need to move the camera, which could ruin the composition. There are several filters I consider essential, as it’s not easy or even possible to replicate the effect with software. Understanding these allows you to focus your spending, possibly helping you afford a higher quality filter system (these are usually worth the additional expense). In the days of film based Landscape Photography, it was essential to use a UV filter for landscape photography. These filters help to reduce the effect caused by high levels of UV light, which can create a blue cast in the photograph. This can and does still happen but with digital technology it’s easily corrected. Despite this, I still consider these to be essential camera filters because they help protect the front element of the lens. Using a screw in UV filter on a lens will protect it from dirt, dust and scratching. Reducing the frequency of lens cleaning is a good thing as it reduces the risk of the glass being damaged. Although “essential”, I have experienced UV filters that soften the image or reflect light back on to the lens, causing a white “hot spot”. Price is often not a good guide either. One make I have found to be good value and quality are Polaroid. These can be purchased very cheaply from Amazon (http://amzn.to/2qEFmqN). 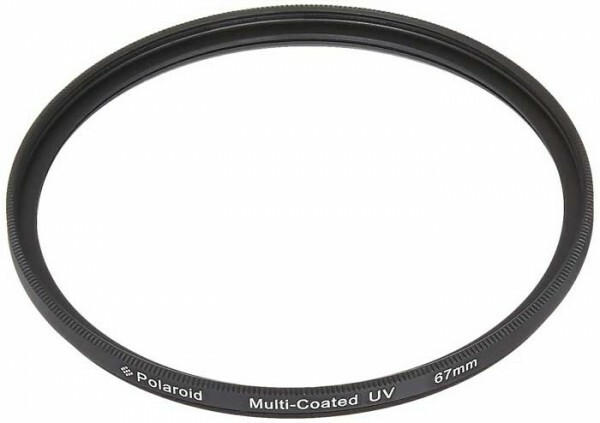 An alternative to the UV filter is the clear glass lens protector. This is a screw in filter made from high quality optical glass. It offers no filtering but does protection to the front element of the lens. Bizarrely they often cost more than a UV filter. 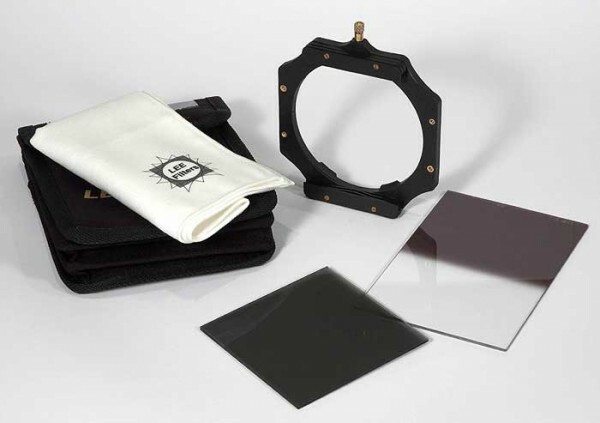 Neutral Density or ND filters for short, reduce the level of light reaching the camera sensor. This slows the shutter speed as the camera tries to capture a well exposed image. Typically, these filters help you blur motion such as when photographing waterfalls. 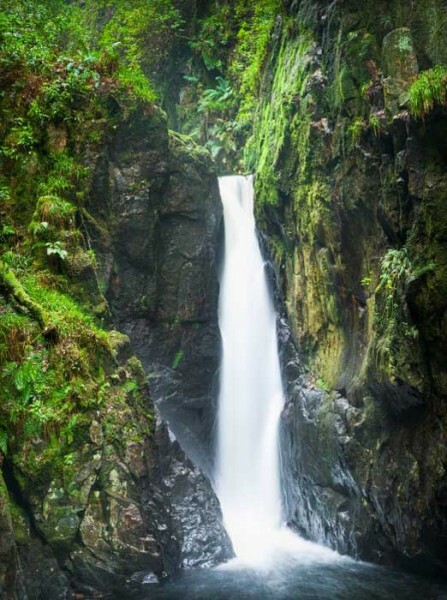 In this waterfall photograph a Neutral Density filter has been used to slow the shutter speed and blur the water. 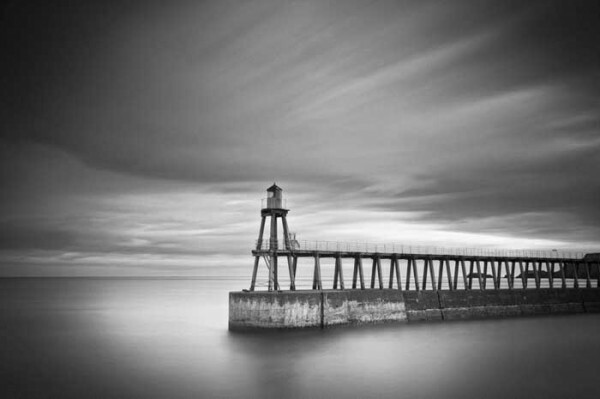 ND filters come in different strengths, measured by their effect on the shutter speed. A 2X filter reduces light by 1 stop, causing the shutter to open twice as long. A 4X filter causing a 4 times reduction in the shutter speed etc. You can buy these filters as both round screw in and square slot in types. Both work well but personally I use the slot in design. This allows me to slot multiple filters into the same filter holder, giving greater control over the shutter speed. Some light may leak in around the edge of the filter holder but this doesn’t become a problem until we get to the Long Exposure filters discussed shortly. 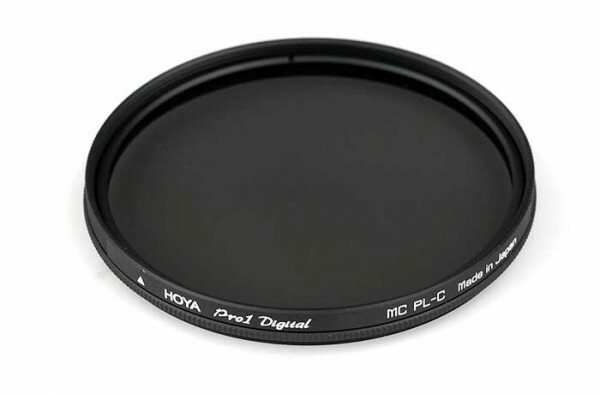 The Neutral Density Graduate or ND Grad for short is similar to the Neutral Density filter. The difference is that only half the filter is dark. The other half of the filter is clear and allows light to pass without affecting the exposure. The way to use the ND Grad is to place the dark area over the brightest part of the scene, usually the sky. The clear part is then placed over the darker area, usually the ground. This helps balance out the exposure across the brightest and darkest areas. Like the ND filters, the grads come in different strengths, but use a different numbering system. With ND Grads, you will see the numbers like 0.3, 0.6 and 0.9. These numbers indicate the difference between the dark top half and the clear bottom half of the filter. A 0.3 filter has a 1 stop difference between the two. A 0.6 has a 2-stop difference, whilst a 0.9 has 3-stops. The drawback with these filter is they assume the scene can be divided cleanly into two halves. With some scenes, there may be no way to separate the light and dark areas. This can cause objects to be darkened by the filter. Some photographers say these filters are not useful because of this and a better option is to capture multiple exposures which can then be blended using software. Whilst this is possible, it’s also time consuming which is why I personally like to capture a good image using ND Grad filters. I believe this gives me a higher quality starting image although I will use the multiple exposure technique when filters aren’t practical. 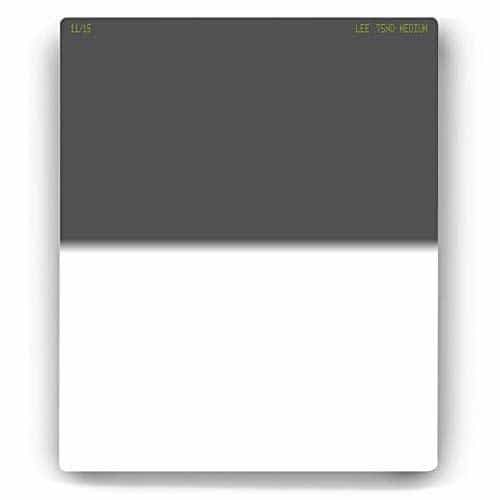 One problem that you can encounter with ND filters of either design is that they aren’t neutral. When this happens, your image can be affected by a colour cast like that shown below. Image with colour cast caused by a low quality Neutral Density filter. When purchasing any form of Neutral Density filter (grad or standard) it’s important that the filter is neutral. Unfortunately, not all filters are neutral and you can end up with a colour cast ruining your photos. Personally, I use Lee Filters. They are a little costlier but tend to be neutral under most conditions. If you have a micro 43 camera, the Lee Seven 5 system is an excellent choice. 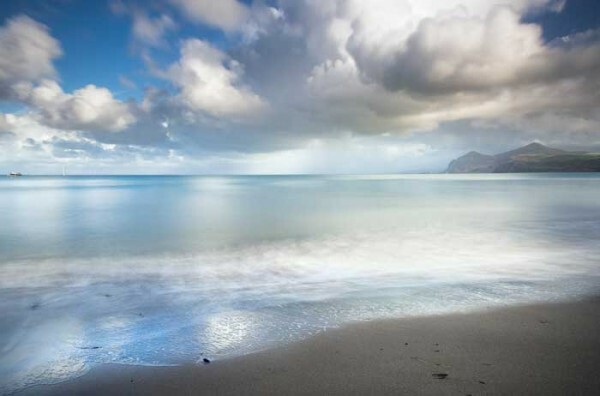 Long Exposure filters are very strong Neutral Density filters. Typically, you will find these offering 6, 10, 12 or more stops of light reduction. These will produce very long exposure times, even when used in strong sunlight. Waves on the sea will become smooth whilst people and cars will vanish from a scene. For this type of filter, the screw in filter design tends to be best as it minimises the chance of light leaks damaging the image. Despite this, the Lee slot in filters (the Big Stopper and Little Stopper) perform very well. These filters feature a soft foam gasket on the rear of the filter which helps seal it to the filter holder and prevents light straying in around the edges. 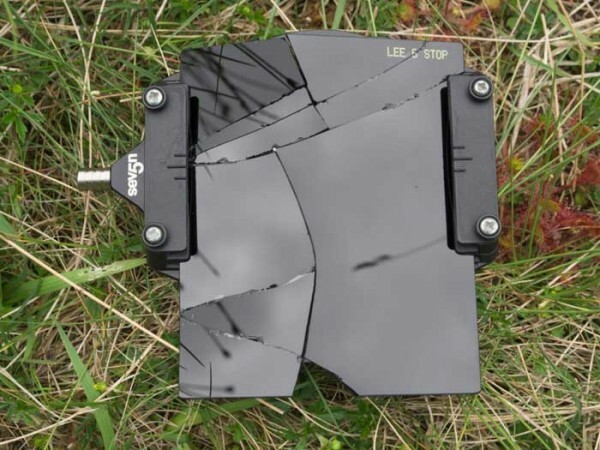 Do be careful with these filters as they are made of glass and break quite easily when dropped on a rock. One of the drawbacks with Long Exposure filters is that they often produce a colour cast. This can usually be corrected easily using tools such as Lightroom. Be sure to capture the image in RAW to produce the best results. Another alternative which is very popular is to convert the image to black and white. Long exposure image converted to black and white. Notice the blured sea and sky. The final filter I want to discuss is the humble polarising filter. Many new landscape photographers love these filters as they can create a dramatic effect, intensifying blue sky. This often leads to overuse and people quickly tire of them. The polarizing filter works by filtering out light where the light waves aren’t all passing in the same direction. A good example of this is seen when shooting the surface of a still lake. If you polarise the scene, it will allow you to see more clearly beneath the surface of the water. This ability to remove reflections can help with landscape photography too. Not because we want to see beneath the surface of the water but because reflection off any surface can reduce saturation. If you are shooting waterfalls, forest, coast, pop on a polarizing filter and you will be able to improve the scene. By polarizing these scenes to remove the stray reflections, your image will appear more vibrant and deep. This is one filter that you can’t afford to be without as a landscape photographer. If you’re not currently using camera filters for your landscape photography, I would urge you to think again. Only a limited selection of lens filters could be classed as essential; carry these and master using them. They will serve you well and you should see an improvement in the quality of your work. You commented on the possibility of reflections when using a protective filter. I have a protective UV filter on all of my lenses. My local camera store friend says he sees about one lens repair a month that would have been prevented by a protective filter. Nevertheless, if there is a strong source of light in the frame, i remove it. It almost always will cause annoying reflections. Good point. It can be a good idea when shooting into a bright light source to temporarily remove the filters unless they are spotless. The dirt and grease they accumulate tends to result in flare. That said, imaging what your lens would be like if you didn’t have the filter on there. I think the UV filter or a protector is essential.